We have been reading, rereading, and retelling Eric Carle's The Very Hungry Caterpillar this week. 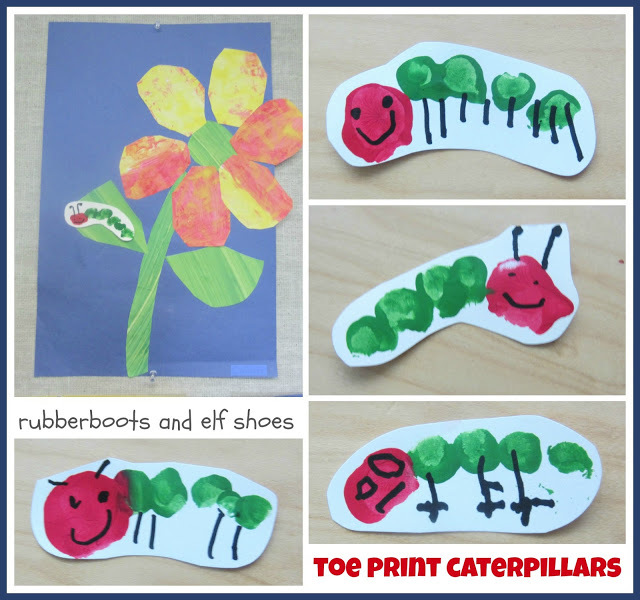 You just can't read The Very Hungry Caterpillar without enjoying a cool art project. This year I found a project on Pinterest (Classified Mom) that I just could not resist. Even though it was flirting with insanity. First job was to paint the kidlets' toes. Shoes and socks off AND allowed to sit on the table. It's a pretty cool day! 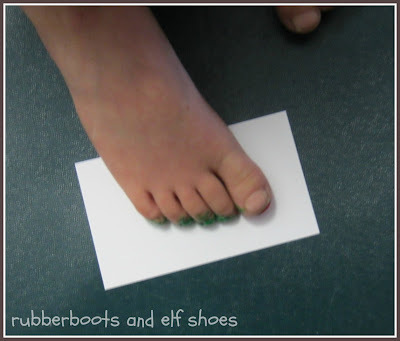 Painted toes onto a paper. 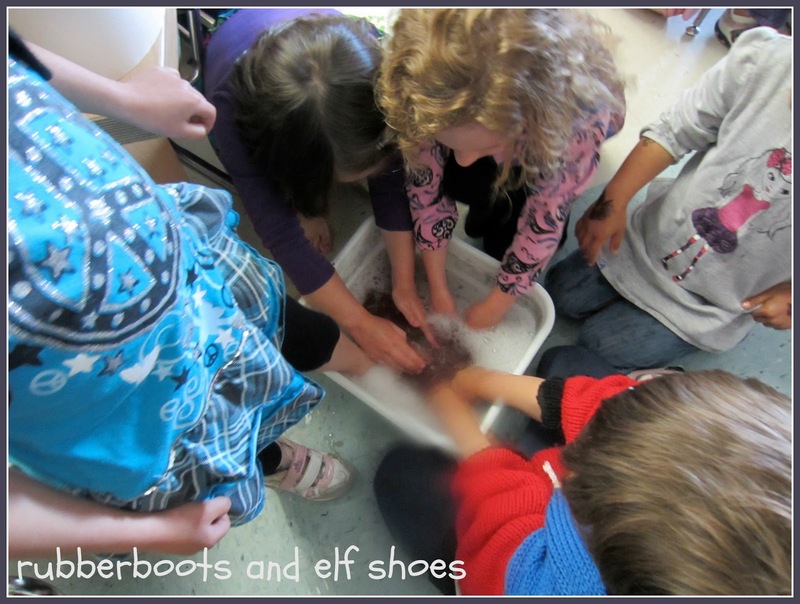 What I thought was cool was the kidlets desire to wash the paint off each other's toes. They had to organize themselves into washing and drying teams. How often do you get your foot washed by three people and then towel dried by two!?! I could not keep from smiling when I saw the caterpillars. They were just too cute. We called them toe-pillars. And you have the cutest caterpillars that you ever did see. This is such a cute idea for the kiddos!! :) I especially love how one of the caterpillars is on the flower from "A Tiny Seed"!!! My students did the Tiny Seed project with my student teacher a few weeks ago. I think the caterpillars look fabulous on the leaf. 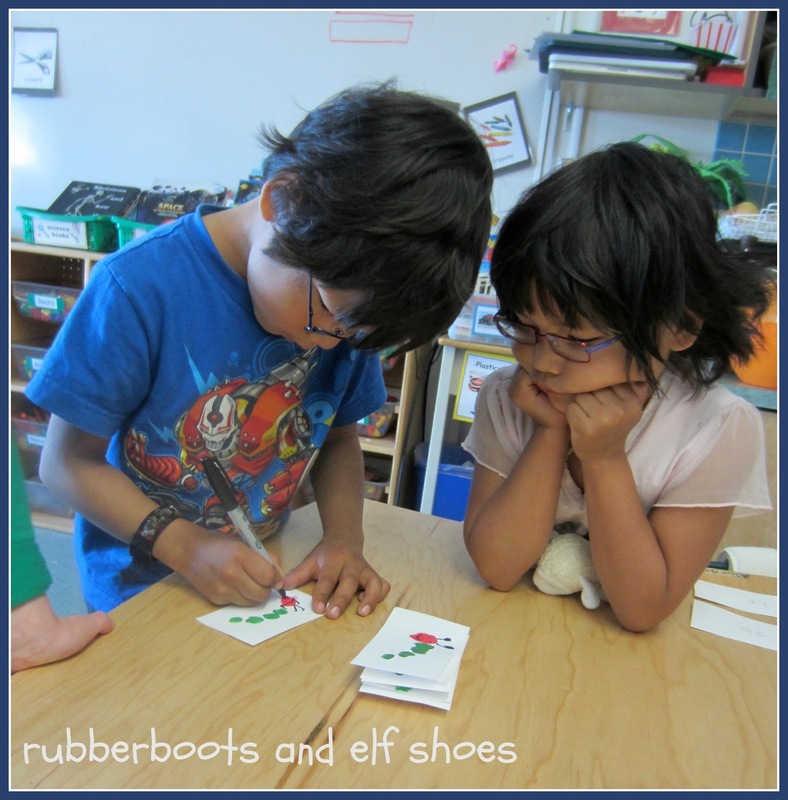 Some of the students want their caterpillars on a tree with their Grouchy Ladybugs. Oh well! 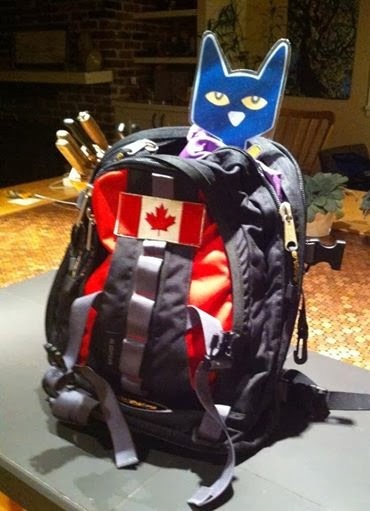 Saw it on Teach Beside Me and had to click! Pinning it now! Thanks for visiting and for pinning. 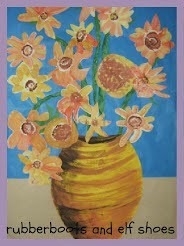 The flowers were a student teacher project from a couple of weeks ago. It just worked perfectly with the caterpillars. Love serendipity! Awwww! 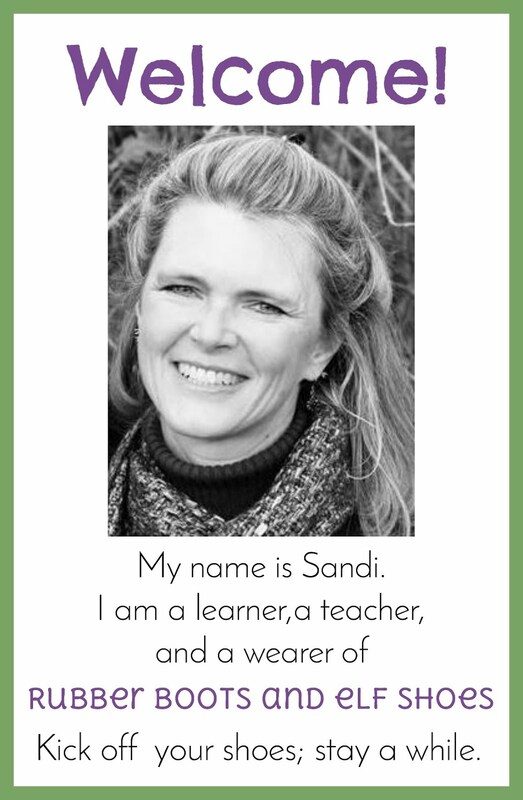 These are just too cute, Sandi! Pinning! I love flirting with insanity! These are toe cute!! They are definitely the cutest caterpillars I have ever seen! Thanks for linking up to Share It Saturday! Those are magnificent!! I wonder if it would work with my dog toes? I may have to try! Those are simply darling! I am definitely doing this with my kids next time we pull out The Very Hungry Caterpillar. Oh, how adorable!! And I love the foot washing and drying too! Thank you for sharing at Sharing Saturday! Love this idea! how cute the caterpillars are! Awww...so cute! 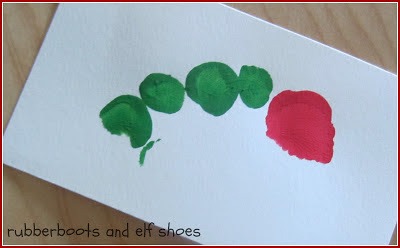 Thanks for linking these little toe prints up at the Thoughtful Spot! Well we do have warm days arriving, why wouldn't we paint our toes? ?